Well that was fast. Gameloft just announced that four of its hottest titles are now optimized for the new iPad. The game publisher said that Order & Chaos Online, its super popular MMORPG, Modern Combat 3: Fallen Nation, Asphalt 6: Adrenaline and Gangstar Rio: City of Saints are all available now and all take advantage of the new iPad's super sharp 2048 x 1536-pixel resolution Retina Display. 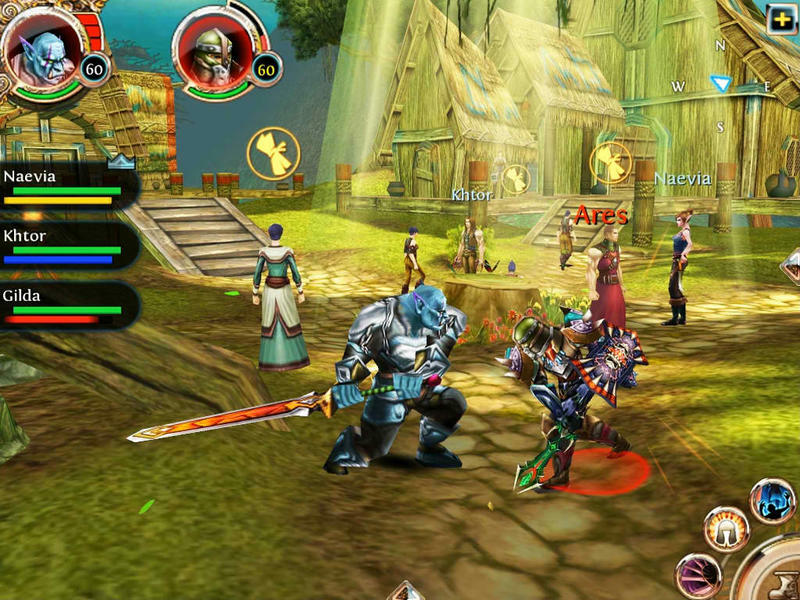 "Gameloft is excited to support the new iPad," Gonzague De Vallois, Gameloft's senior vice president of publishing said. "With its A5X processor, we can continue to showcase our unique development approach and creativity. Gameloft has always been one of the first developers to release games that are ideally optimized for each new iOS platform as soon as they are available and offers more than 100 games on the App Store. In sync with Gameloft's philosophy, now more than ever before, we offer games on the best digital platforms." Pretty sweet, but we're definitely looking forward to Epic Games' Infinity Blade: Dungeons, too. We'll stop talking now — get gaming! Gameloft, a leading global publisher of digital and social games, is happy to announce the release of four titles specifically optimized for Apple's New iPad, Order & Chaos Online, Modern Combat 3: Fallen Nation, Asphalt 6: Adrenaline and Gangstar Rio: City of Saints. Each of these titles takes full advantage of the functionality of the new iPad to offer a stunning and unique game experience. Equipped with an A5X processor with a quad-core graphic chip and a Retina display that supports a 2048 x 1536 resolution, the new iPad offers the opportunity to produce extremely high-quality graphics and allow an even more realistic game experience. "Gameloft is excited to support the new iPad. With its A5X processor, we can continue to showcase our unique development approach and creativity," said Gonzague De Vallois, Gameloft Senior Vice President Publishing. "Gameloft has always been one of the first developers to release games that are ideally optimized for each new iOS platform as soon as they are available and offers more than 100 games on the App Store. In sync with Gameloft's philosophy, now more than ever before, we offer games on the best digital platforms."